As I've mentioned before, my friend Brandi's shop, makes these t-shirts which Mace & I finally got our hands on this week. I'll always miss my friends and fam in Chicago but it feels good to be a Texan, indeed. 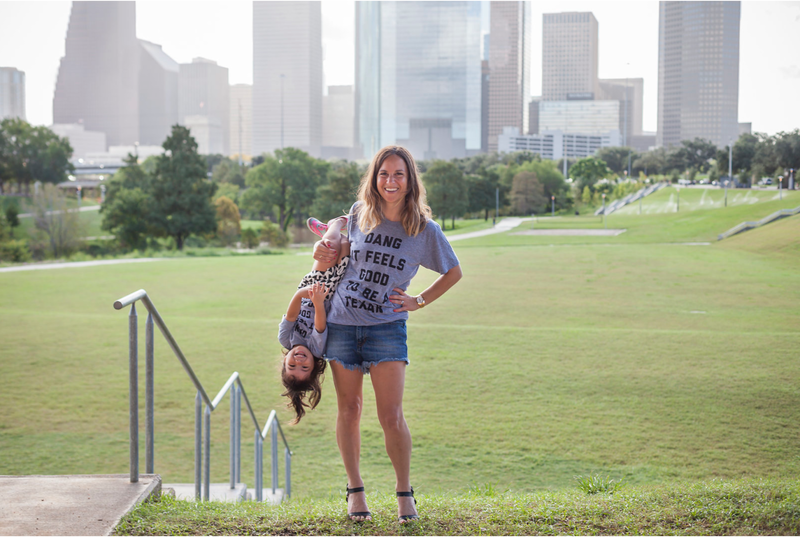 *Get your own Dang it feels good to be a Texan tee here. Sizing wise I'm wearing a small and Mace has a 4. Have a good day everyone! Tomorrow is Friday!!! dang, those legs! work it! I was thinking the same thing...noticed the legs before the shirt! That shirt is so cute. Going to have to get my hands on one for sure. Agreed. Finished reading your book. A fascinating cabinet of curiosities about modern upper middle class life. As an immigrant from Taiwan very few natives are willing to talk to me, especially since I lived in Hollywood . By the way, a kolache is also a brioche . They sell chocolate stuffed brioche in fresh market. I personally love them frozen. My family and I are moving to Corpus Christi and are excited to be becoming Texans! My wife’s parents live there and run the border patrol’s boat facility over in Laredo, so they are excited to finally be close to our children/their grandchildren. 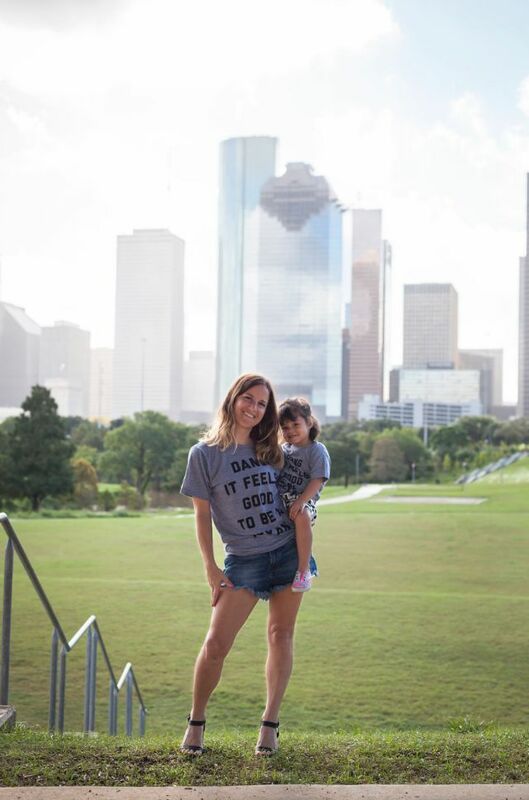 Needless to say, we will be checking out your friend Brandi’s shop for the t-shirts so that our family can all have Texans shirts when we catch a local game as a family. I also like the “Sports!” shirt and your potty training post. You have a daughter, but my wife and I are trying to train our 2 year old son now that we have finished moving to Corpus Christi – it is not an easy task! Best of luck on your potty training endeavors!